Today, Universal Orlando Resort revealed an all-new original content haunted house coming to Halloween Horror Nights 2018 – Carnival Graveyard: Rust in Pieces. As guests trespass into a dilapidated carnival, they will find a maze of decayed rides and games – and soon discover they are not alone. Horrifying guard dogs, a grotesque ‘tunnel of love’, gleefully vicious performers loaded with deadly weapons fabricated from old rides and more will stalk guests’ every move as they try their best to escape. 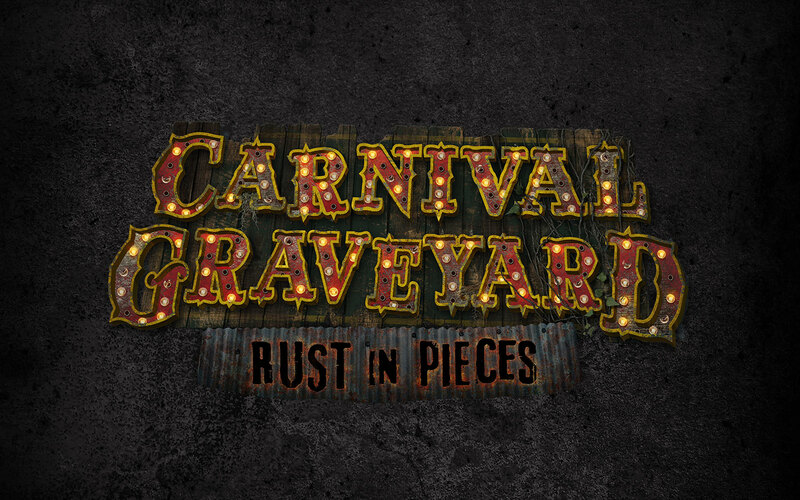 Check out the Universal Orlando Blog for more information about Carnival Graveyard: Rust in Pieces. Halloween Horror Nights 2018 runs select nights from September 14 to November 3 and will feature more houses than ever before. Additional details about this year’s event will be revealed soon. For more information and to purchase tickets, click here. The Theme Park Duo Podcast: SEASON 02 EPISODE 13 – MIDSUMMER SCREAM 2018 with SPECIAL GUESTS!